ALERT: If you are receiving request for quotes from someone claiming to be an employee of BTA Solar, "This is a Scam". Please ignore it or call us directly. Thank you, Rich Remington. BTA Solar is a locally owned solar contractor and installer of intergrated photovoltiac roofing systems. We are committed to all of our clients, to providing solar power and integrating your home or business with solar energy. Since we are about pleasing our clients, it is always in our best interest to provide the best service in the solar industries. BTA Solar is a licensed and insured solar company with contractors license #841362. We can show you how to supplement or eliminate electric utility cost, and provide you the technology to fix your cost for decades of power in the future. . BTA Solar continues to pursue the latest advancements in solar energies. We are the only source in the Stockton area for the new Kyocera MyGen/Meridian Integrated Roofing Systems. 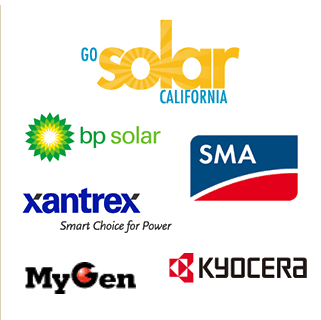 We are a Solar Installation Company servicing Northern California for residential solar, commercial solar and agricultural solar energy systems. A solar contractor installing solar energy and power.